PRODUCTION EXPO 2013: Andy Johns, the younger brother of another famed engineer, Glyn Johns, began his career working as an assistant engineer with Eddie Kramer on Jimi Hendrix sessions. Andy also produced The Rolling Stones' Exile on Main Street and worked with Free, Blind Faith and Van Halen. More recently he produced Chickenfoot with Sammy Hagar, Chad Smith and Joe Satriani. Andy was instrumental in shaping the sound of Led Zeppelin's seminal fourth album, including John's Bonham's ferocious drum sound on When The Levee Breaks. Where did you kick off the sessions for Led Zep IV? "The Rolling Stones had the first mobile recording unit in europe. I had done the Stones' album 'Sticky Fingers' and I had also done two other album projects at Mick's house, Stargroves, with the truck and I really liked it. It was a lot of fun and you got so many different spaces and it was better than being stuck in some airless, windowless room. "We were getting ready to do the next Led Zeppelin album and I said to Jimmy Page: 'Why don't we use the Stones' truck and we'll go to Mick's house?' So Jimmy says: 'How much will that cost?' It worked out to be the same as a regular studio and a thousand pounds a week for Mick's house. He said: 'I'm not giving Mick Jagger a thousand pounds a week for his place. I'm going to find something better than that.' And he found Headley Grange, which was rather fortunate. We did a few tracks there including When The Levee Breaks, Rock And Roll and Boogie With Stu." What was your approach to recording at that time? John Bonham was famous for his very particular drum sound. How hands on was he? "I never had Bonzo turn round to me and say, 'oh that's a great drum sound, Andy.' He'd just say, 'There's not enough 'frudge' on the bass drum.' That was his word and I knew exactly what he meant by 'frudge'." "We took Bonham's kit and stuck it in this lobby area. I got a couple of microphones and put them up the first set of the stairs"
When The Levee Breaks put Bonham centre stage, held down by that monstrous 26" Ludwig bass drum. What was the process behind achieving that sound? "Black Dog was the first thing we did there. That was a collaboration with Pagey and John Paul. My contribution to that was triple-tracking the guitar riff played on a Gibson Les Paul. I used a couple of universal limiters. It worked really well but as soon as Jimmy stopped playing, with all that gain it went 'Ssshh woarg!'" "[Rock and Roll] was a little tough to record because with the hi-hat being so open and [Bonham] hitting it that hard it was difficult to control. But I managed somehow or another. We did Stairway To Heaven upstairs in the big room at Island. "I had said to Jimmy that we needed a song that builds up and hadn't been having much luck. But then he said: 'I think I've got something that you'll like and we'll do it next week.' And he came in with Stairway To Heaven. "We tracked it with drums and acoustic guitar and John Paul was playing an upright Hohner piano. I'd never even seen one before or since. The drums come in later because it's a 'building song', innit! I didn't have a lot to do with Stairway except for the 12-string guitar sound that I really liked at the time. "Jimmy was always running his 12-string Rickenbacker through a box, which is a good sound. But if you do it direct and compress it, you get a much more bell-like quality. So I suggested we try that and he really liked it. There was a bit of a struggle on the solo. He was playing for half an hour and did seven or eight takes. He hadn't quite got it sussed. I was starting to get a bit paranoid and he said, 'No, no you're making ME paranoid.' Then right after that he played a really great solo." "As it turned out, mixing the album was an absolute disaster"
"So the tapes began rolling and sure enough there was an aftershock. Totally coincidental of course but Jimmy was convinced it was the power of the music. So that was rather funny. But Peter Grant [Led Zep manager] would lie on his bed clutching the sides. He was a hard-nosed character but he was petrified of the earthquakes. Everyone thought the place was going to fall into the ocean. And as it turned out, mixing the album was an absolute disaster. That's why I didn't get to work with Zeppelin again after that album. "It all sounded great at Sunset but the only mix that got used was When The Levee Breaks. That, for some reason turned out alright. But we did this playback at Olympic Studios in London and it wasn't the greatest place to hold a playback session. I should have chosen Island. Anyway the first song goes by and it doesn't sound very good at all. Jimmy and I are sitting on the floor with heads in our hands going 'What the hell is this?' Then we played the next one and the next one… and it all sounded 'orrible. "The other three guys were turning round and giving us funny looks. 'What's happened here?' If it had been anyone else I would have been booted off the project there and then. Jimmy said: 'Well, that's not very good is it? Let's go back to Island where we should have been in the first place. We'll mix it there.'" You must have been devastated? "My bottle had gone and obviously I was shattered. The previous stuff I'd done at Sunset had come out Jim Dandy and was really good. I thought Sunset was a cool place but they had changed the room since I was last there. I don't know what happened. 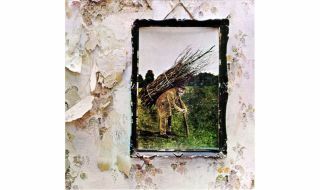 So we went back to Island and re-mixed Zeppelin IV although we still used the Levee Breaks mix from Sunset. But it had all cost a few bob, flying us over there to LA and staying at the Hyatt House. And I know that Bonzo was furious about it." The When The Levee Breaks drum sound has been sampled and copied many times over the years, notably by the Beastie Boys. "It's funny actually. I remember mixing some tracks in Tokyo and there were three 32-track machines all strapped together. It was insanity. One machine had all the percussion tracks and I found it even had a little of bit of When The Levee Breaks. Who would have thought all those years later I'd be stealing my own stuff!" This interview originally appeared in issue 196 of Rhythm magazine. To read the full feature and discover more about Led Zep IV, please click here and download the Rhythm Apple Newsstand app.